Ankara printed anything is my obsession. I had this skirt made last Christmas, when I was in Lagos. I love the color scheme of this skirt, which makes it super easy to style. 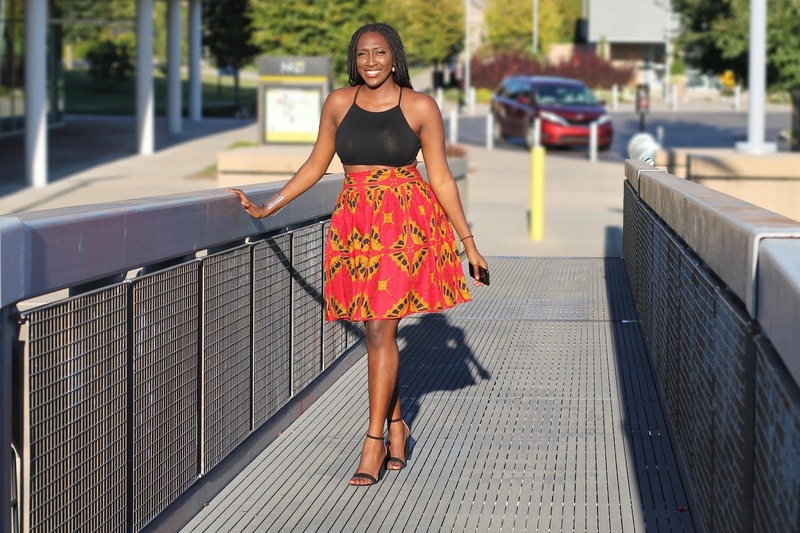 Whenever I wear anything with an ankara print I make sure that the rest of the pieces of the outfit are one color. 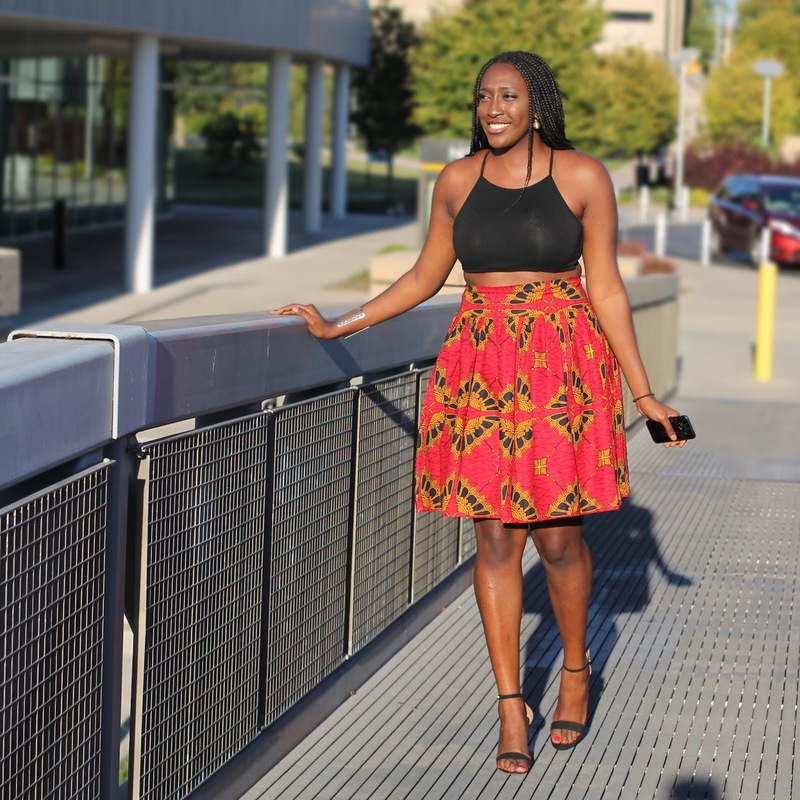 In this case, I paired this skirt with a black crop top and heels. Making the main focus the skirt. Ankara prints tend to be bold and stand out, so it is best to leave that as the center of attention. Sometimes pairing two different prints together works but it is very risky. It is easier to have one bold print with a solid color to pull the whole look together. I really love how this outfit turned out. 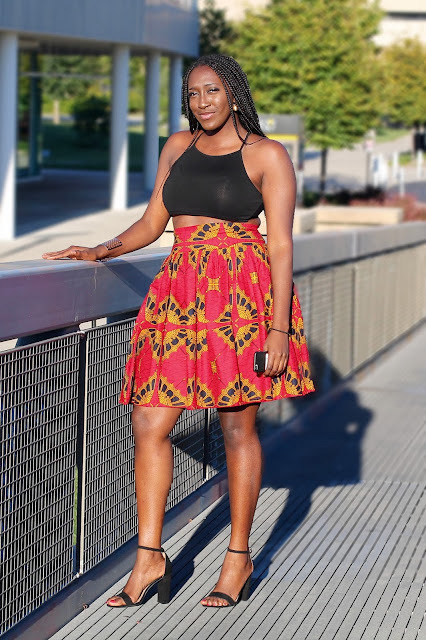 Do you guys like ankara prints and how would you style it?